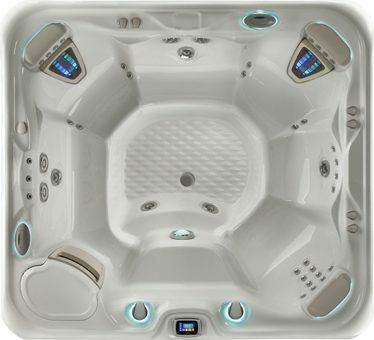 The 2015 Grandee® hot tub, with its expansive, barrier-Free design, provides plenty of room for a party of seven. 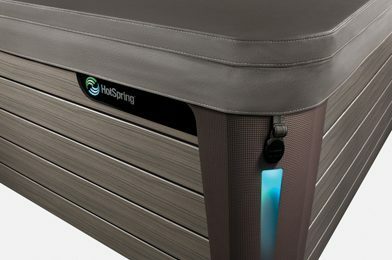 Two Moto-Massage® DX jets let two people enjoy a terrific back massage at the same time. 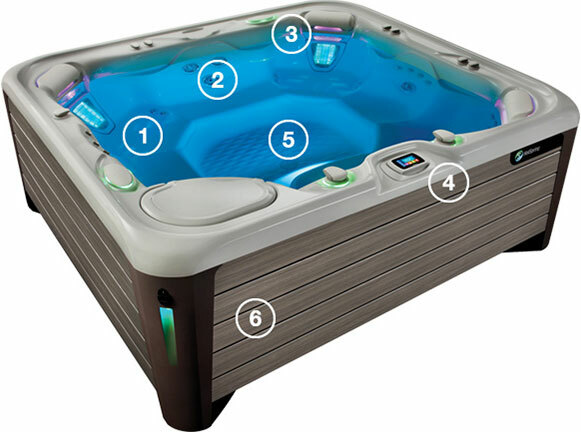 The BellaFontana® water feature adds to the overall ambiance, with a tranquil waterfall. 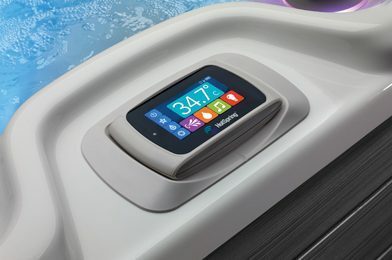 HotSpring is the industry leader in the design and innovation of the most energy efficient Hot Tubs with features including multiple layers of high density foam, custom fit covers and Silentflo circulation pumps. 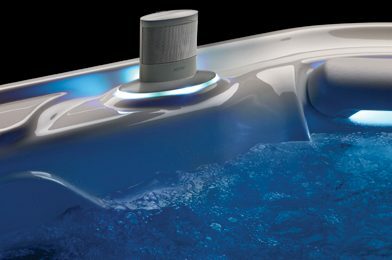 Easy to use, the intuitive waterproof control makes it simple to navigate your spa’s features to create the perfect ambience without leaving your Hot Tub. 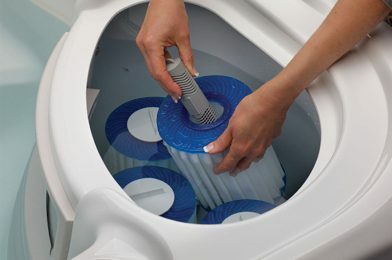 This feature is only available on Grandee, Envoy and Aria models. 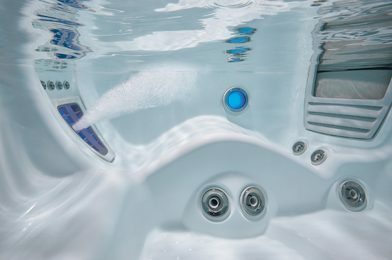 HotSprings’ patented moving jets give an unparalleled hydromassage experience, with dual nozzles directing powerful streams of water to dissolve tension.